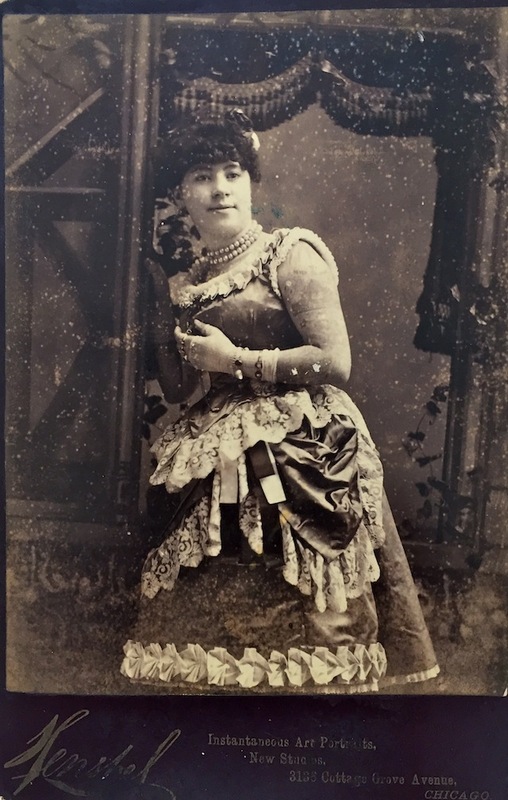 Irene Woodward, also known as La Belle Irene, was a tattooed lady who performed during the 1880s. She made her New York debut just weeks after Nora Hildebrandt to great fanfare, including a report in the New York Times. She worked at Bunnell's museum and successfully toured Europe. Onstage, she claimed to have been tattooed by her father, and, in a break from the usual tales of forcible tattooing, claimed she actually wanted the work done. Woodward was actually tattooed by Samuel O'Reilly and his then-apprentice Charles Wagner. At times, she claimed to have been inspired by having seen Constantine. In 1883, she married a showbiz man named George E Sterling with whom she had a son, also named George, and spent 15 years in the circus. She died in December of 1915 at the age of 53 in Philadelphia, Pennsylvania. Here's a sketchbook page from the sketchbook of Samuel F. O'Reily, Irene Woodward was illustrated by him. Newer PostThe guy's name is Harry Lawson, right?